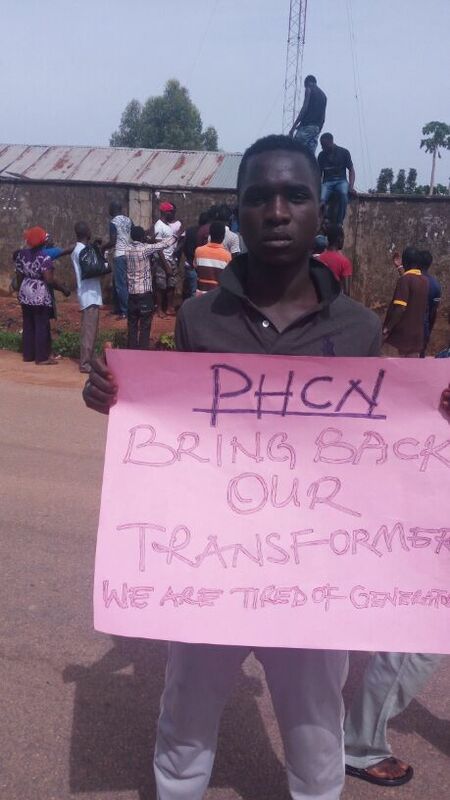 Residents of Ngwan Boro, Sabon Tasha area of Kaduna State, Tuesday morning violently bombarded PHCN sub-station in the area, protesting over non return of their transformer taken away for over a month by staff of Kaduna Electric. As you read this report, urgent action must be taken by Police and Kaduna Electric. A stitch in time they say, saves nine. Efforts to dig deeper proof abortive as protesters and few staff of Kaduna Electric who are at the scene of the protest were apprehensive as at the time of filing this report. Recalled that the same thing happened two years ago that eventually led to lost if lives and property worth billions.